Good location just off the beaten path,great to get to from anywhere.The suites with kitchen would be great for multiple day stays. Room was comfortable and clean. Service was good as well as the breakfast. Amazing location and staff. The hot breakfast was delicious and staff was very friendly. Very flexible with late check in. The breakfast meal was same old same old , after second day we bought some items on our own , since we had a kitchenette. Breakfast downstairs could be a bigger variety. Clean room and friendly staff! Excellent price for the area. Very convenient location. 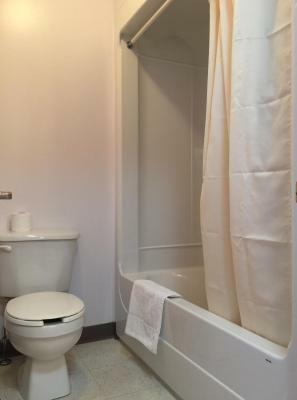 Location, walking distance from airport. If your flight is delayed and rent-a-car counter is closed, you can reach this motel on foot, and take a shower and get hot breakfast. We wanted to go back to the hotel we went to on our very first trip together. Sherwood Inn and Motel Charlottetown This rating is a reflection of how the property compares to the industry standard when it comes to price, facilities and services available. It's based on a self-evaluation by the property. Use this rating to help choose your stay! Located in Charlottetown, on Prince Edward Island, this hotel is next to the Charlottetown Airport. It features fitness facilities and rooms with free Wi-Fi. 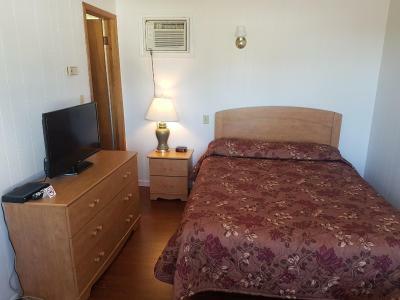 Sherwood Inn and Motel offers cable TV, clock radio and private bathroom in every room. Select rooms have a seating area and a kitchenette with a 2-burner stovetop. A hot breakfast buffet is provided from June 20th until September 20th. Sherwood Inn and Motel Charlottetown provides laundry facilities on site and concierge desk can assist with tour and ticket reservations. Parking is available free of charge. Downtown Charlottetown, Brackley Beach and the Province House are all a 10-minute drive from this inn and motel. Charlottetown Driving Park, a horse race track, is only 5 minutes away. When would you like to stay at Sherwood Inn and Motel Charlottetown? Deluxe room offers a kitchenette with a stove-top, microwave and fridge. This room features extra-long beds. This double room features a kitchen, air conditioning and oven. House Rules Sherwood Inn and Motel Charlottetown takes special requests – add in the next step! Sherwood Inn and Motel Charlottetown accepts these cards and reserves the right to temporarily hold an amount prior to arrival. The airport shuttle runs from 9:00 until 22:00. I love everything about this Motel and the staff and Owners,It’s out of the city,Across from the Air Port beautiful watching the Planes take off and land,And the prices are very very easy to work with to make accommodations!!! It was not clean, the staff was rude, the door didn’t lock properly and they didn’t lock the front door and had no one at the front desk at night you had to call their cellphone. It was cold in the room. Termoregulator was in the box locked. Was not any key to open and add more higher temperature in the room. All night we were sleeping in cold room. Comfy bed and the fact I arrived late your guys left me instructions regarding my stay. The Sherwood Inn is the closest accommodation to Charlottetown Airport. The room was light, bright and sparkling clean. The beds were comfortable - all one can ask of an airport hotel. Staff were friendly and healpful. Very sorry to report but the noisy bathroom fan stayed on ALL night and was unable to control it in any way. Arrived late from delayed flights and was really looking forward to crashing and getting some sleep but that did not happen. Booked online and wasn't able to upgrade room accomodations. The door to the outside had obviously been broken into - pry marks, broken door that was bolted back together. Oldest sofa and table ever seen. Likely 1950s. Clean, comfortable, friendly staff. The kitchen unit was a bonus!